Watching your parents go through a divorce is hard enough without having to deal with the scariness of watching one of your parents get replaced by another. “Daddy’s Home 2” relives its comedic past by proving to the audience that co-parenting between biological father and step-father can be manageable. The progression between Brad (Will Ferrell) and Dusty’s (Mark Wahlberg) relationship from the first “Daddy’s Home” allows the audience to see that individuals can put aside their differences and live in harmony with one another. Sean Anders, who directed both “Daddy’s Home” and its sequel “Daddy’s Home 2,” continues the co-parenting banter between Brad and Dusty, in an all-American comedy that advocates the concept: the more family, the merrier. A sequel to “Daddy’s Home,” which came out in 2015, “Daddy’s Home 2” continues the co-parenting silliness with a holiday twist. It’s Christmas time for the blended family of Brad and Dusty, which only means one thing—family reunions. Despite being rivals in the first movie, Brad and Dusty are now close friends who co-parent their children. When husband Brad, ex-husband Dusty, and mom Sarah (Linda Cardellini) find out their children are upset they will spend Christmas in two separate houses, Brad and Dusty decide to have a ‘together Christmas’—where both families spend Christmas together. With Brad’s warm and cuddly father, Don (John Lithgow), expected to fly in to spend Christmas with the family, Dusty’s macho father, Kurt (Mel Gibson), surprises them all by calling and announcing he is also coming for the holidays. When all families are together, Kurt books a Christmas vacation for the family, and here is where both families learn to work together and put aside their differences, so that the children have the Christmas that they dreamed of. “Daddy’s Home 2” is a wildly obtuse holiday themed comedy that is fun for a mature family audience. Although the movie is rated 12A, it may be too inappropriate for a younger audience as some of the humour involved includes foul language, sexual references, and features children drinking. Additionally, stereotypical male and female gender roles are joked around a great deal, which may stir some disagreement with some audience members. Apart from these few aspects, what makes “Daddy’s Home 2” a joy to watch is the chemistry between all the actors. Ferrell, Wahlberg, Lithgow, and Gibson do a captivating job at portraying each of their characters. As each of their characters’ personalities are very different, each scene is more dynamic than the last. 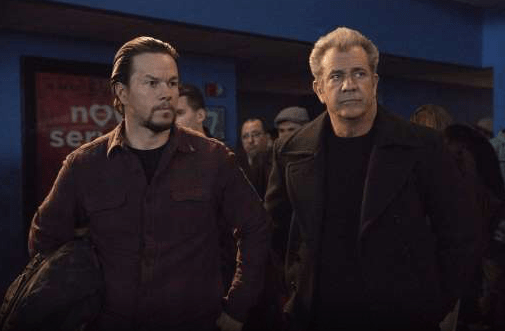 When all four actors have a genuine connection, it makes for an easy flowing movie that is a delight to watch—this is one of the reasons why “Daddy’s Home 2” is a much more humorous film than its predecessor. The chemistry between Ferrell and Wahlberg in “Daddy’s Home 2” is just as good, if not better in the sequel. 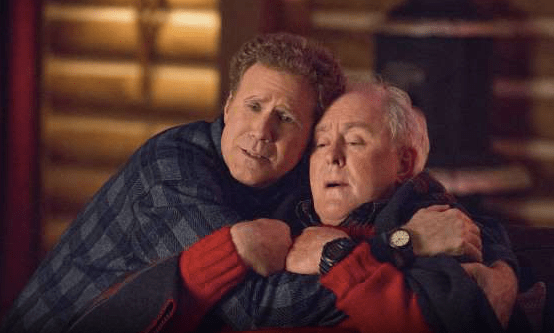 The audience is also given a treat with the addition of both Lithgow and Gibson, two actors who add a more lively and energetic quality to the already comedic film. With this dynamic quad, the scenes in the film will make you laugh for a brief second, pause, then laugh again. “Daddy’s Home 2” is one of those films where you know how it will end. It is an all-American family comedy that has the expected conflicting turbulent relationships followed by a happily ever after ending. Looking past the sexually suggestive jokes and stereotypical gender role banter, the energetic spirit between all the actors make this film for what it is—a simpleminded comedic film of individuals with contrasting charisma trying to enjoy the holidays.